Like alot of my fellow runners, sometimes I'm short on time and simply have to pick the best meal option available from the vending machine..that said, my office is lucky enough to have one of those really healthy food stocked vending machines, but still, it's a vending machine consisting of pre-packed stuff. But I digress. chunk, strawberry, apple pie, vanilla, mixed berry, etc.) but the one I tried was Coconut Cashew. Personal preference disclaimer: Typically I really hate protein bars. I find them either really dry, making my mouth feel pasty or too chewy and I worry I'll pull a filling out of my teeth. There have been very few that I've found that really conquer these product tendencies and actually taste like a real candy bar without compromising nutrients. When I first opened the package I quickly lumped this bar into the "chewy-looking" category, with its monochromatic peanut-butter colored stick. I thought it would at least be covered in chocolate! Chocolate dreams aside, I took the leap and bit off a chunk. Surprisingly it wasn't totally rip-your-teeth-out chewy. Once past the exterior it revealed the coconut and cashews inside and tasted..pretty good! I'll give it a 3 out of 5 stars, taking away one star for the unexciting , non candy look (it looks like someone poured and froze the bar from their blender) and another for the initial chewy factor. In the end though, I ate the whole thing and it left me satisfied for three hours (until lunch) when I could find real food. It does have a chewy texture but it isn't sticky, so that's a huge plus for me. I like that the carbs and protein are well balanced and the fat and calorie content is low. 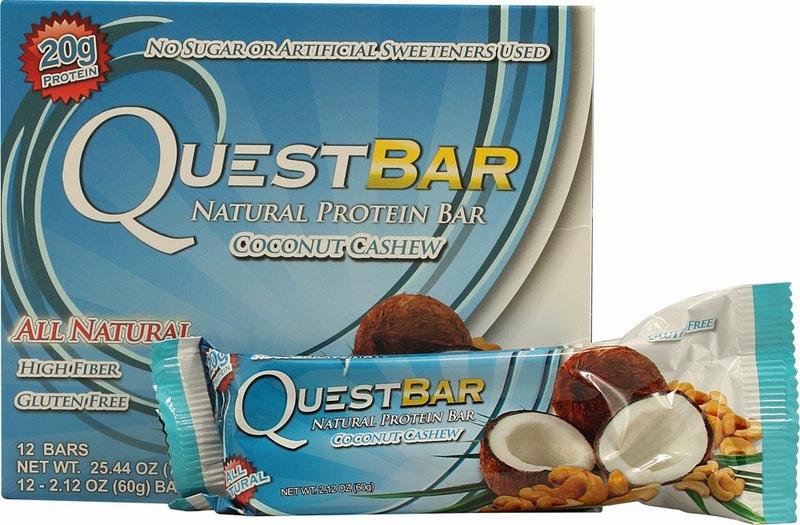 Overall, this is a good tasting protein bar..and if you have a choice between this and some no-name sketchy looking bar, I'd pick this one. My 100th Post and a new Weekly Total Distance PB!